We got back to our friends' house in Santa Rosa after 6 pm, then Kyle and I started prepping for another donabe dinner. David and Kei, who are Kyle and Katina's friends from London came to join tonight's dinner. They are big foodies, so I was excited to share donabe dinner with them. 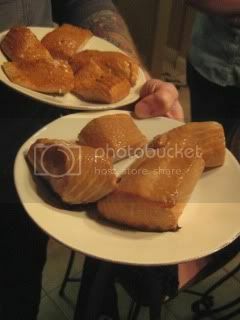 With donabe smoker, "Ibushi Gin", Kyle did salmon belly 2 ways. He brined half of the salmon, and for the other half, he simply seasoned with salt and yuzu shichimi. They both came out really gorgeous, and they were gone in just a minute! 7 of us moved to a dining room and the donabe steaming has started. 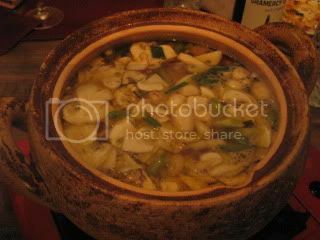 We first did simple steam vegetables in donabe steamer, "Mushi Nabe". 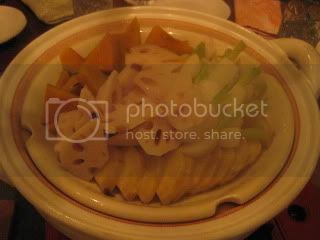 There were kabocha, kabu (Japanese turnip), lotus root, sato-imo (taro), and satsuma-imo (Japanese sweet potato). These simple steamed vegetables were served with roasted walnut & miso sauce, which I made with my homemade 2-year aged miso. 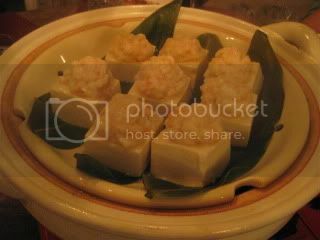 This shojin (buddhist temple style vegan) dish was such a hit that our guests said that it was the best vegetable dish they'd had! That's the magic of donabe. Donabe turns something extremely simple extremely good. 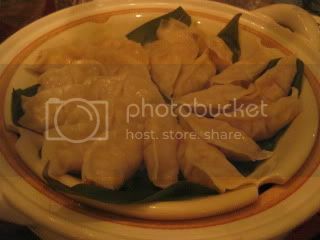 Everybody loved my Japanese dim-sum dishes also...shrimp on tofu with sizzling sauce, tofu & chicken gyoza, and pork and enoki mushroom shumai. 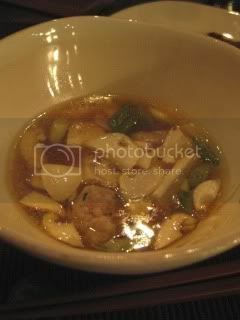 Kyle made soup with matsutake mushrooms from Napa in soup & stew donabe, "Miso-shiru Nabe". 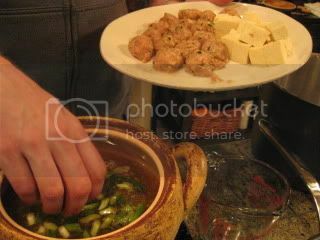 He also put some tofu, chicken meat balls ("tsukune") and scallions. 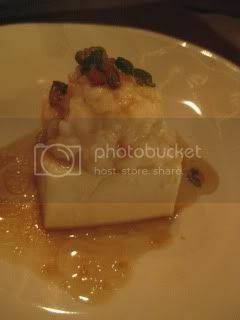 Everybody was moaning over how rich the flavor was with the elegant aroma of matsutake mushrooms. It was truly a delight. 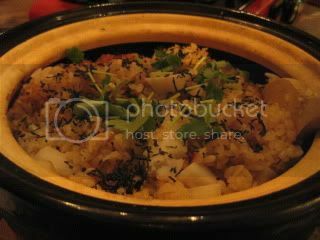 I did a rice course again, with double-lid donabe rice cooker, Kamado-san. I made satoimo (taro) gohan. It was another "shojin" (temple vegan) style dish, as I cooked the rice with shiitake and kombu dashi stock, which I cold-infused for 48 hours. 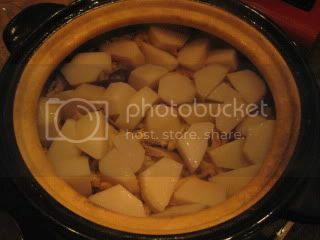 It came out so nice and everybody enjoyed the gentle and pure flavor of this donabe dish. 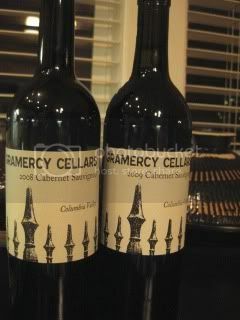 We also enjoyed vertical of 2008 and 2009 Gramercy Cellars, Cabernet Sauvignon, Columbia Valley, with our dinner. While they are obviously still very young and could age for many more years, within the youth, both wines showed such nice elegance. These beautiful wines paired nicely with these donabe steamed Japanese dishes! 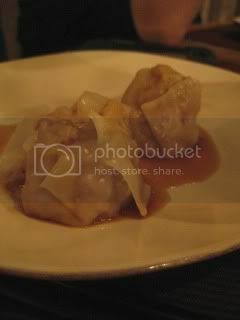 We did it again...donabe cooking in Sonoma was very successful!